Deva Cassel, Monica Bellucci’s and Vincent Cassel’s 4-year-old daughter, has starred as a model for the first time in an advertisement for a Dolce & Gabbana perfume. The shootings were held on Amalfi Coast in the Italian city of Ravello. The company still hasn’t released the official scenes of the advertisement, but Monica Bellucci’s fans, who met Deva on the streets of the city, have already shared photos. The movie stars’ daughter is wearing a white, embroidered dress and a necklace with the picture of a flower. In one of the photos, Deva is walking in the city. 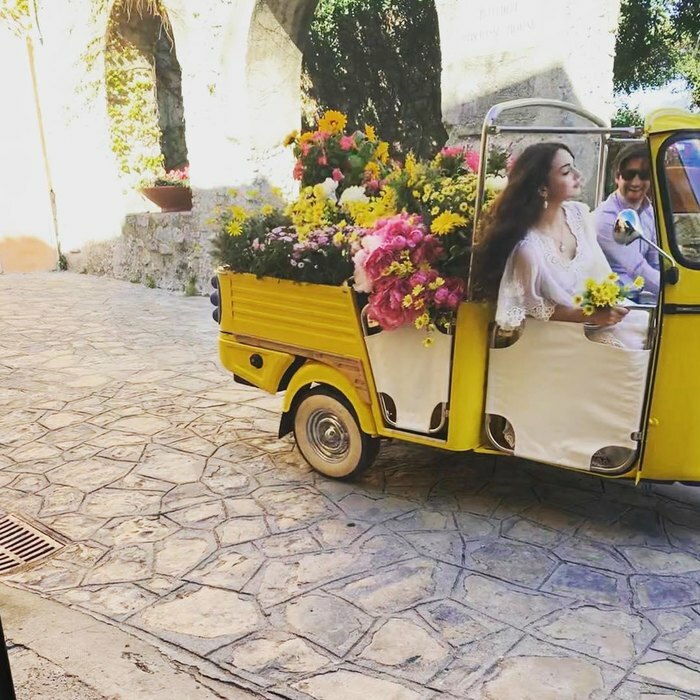 In another photo, she is touring in a yellow car fully decorated with flowers.